demolition men now on site! closed sunday 12th april.now about to be bulldozed for a new asda store! 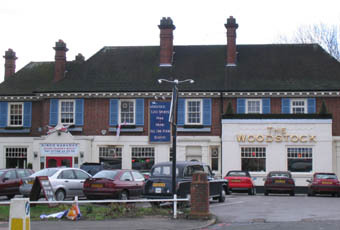 Sutton council voted last night to let the Woodstock be demolished and new asda supermarket to be built. local guardian website now saying Woodstock will be turned into an Asda minimarket. still open,walked past Saturday evening and a wedding reception was going on in the hall with 2 bouncers on the door!